Tuscany. 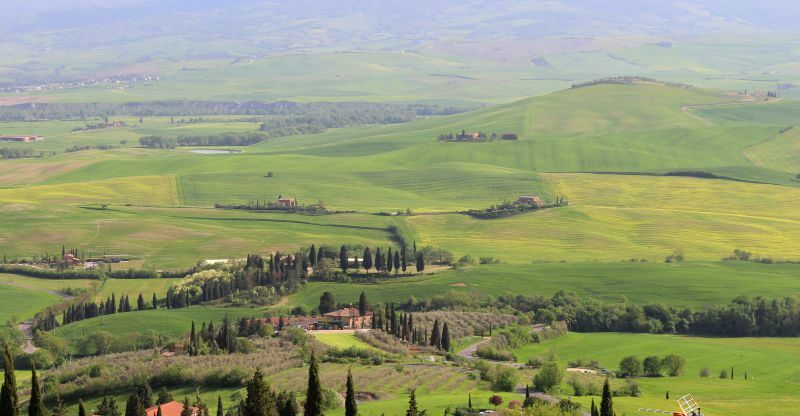 The homeland of the Etruscans, the Italian Renaissance and the Chianti. The second most famous and popular region in Italy. Pleasure for the traveler’s stomach, an earthly paradise for antiquity lovers, connoisseurs of charming and diverse nature, fans of marine recreation. The quintessence of Italy. You can enjoy the hospitality of this area for months. You can learn about all kinds of recreation in Italy, without leaving beyond the limits of this land. And every day will give you new impressions. Impressions of the magical Tuscany. Photo: Oleksandr Safronov IGotoWorld Photo Group. 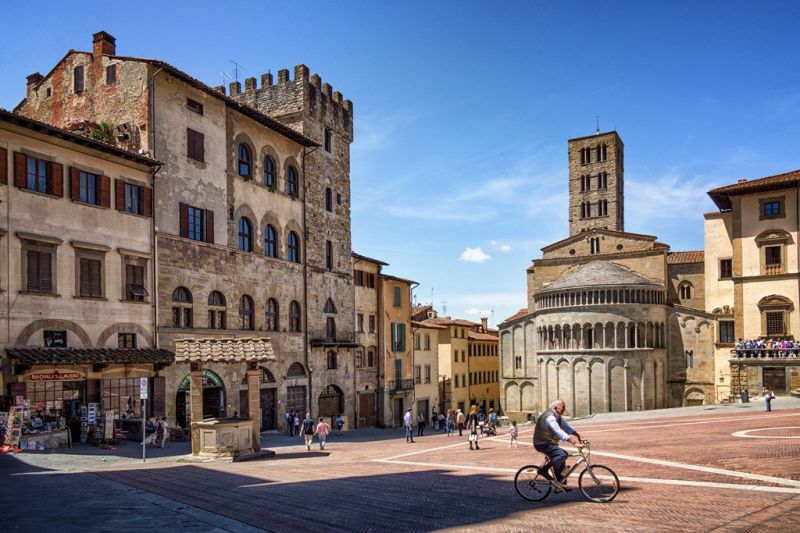 The region will please you with both world-famous historical large cities, and small, but amazingly cozy towns, that allow you to feel the spirit of a real, non-tourist Italy. The capital of Tuscany. 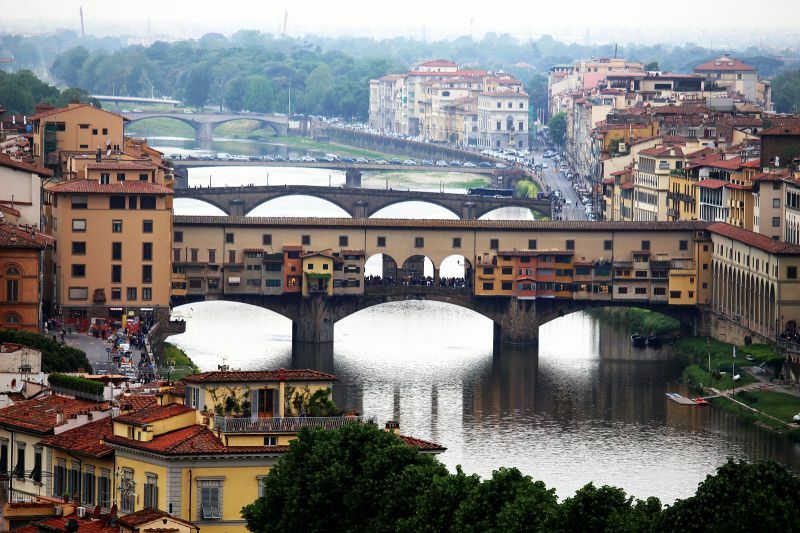 One of the most famous cities not only in Italy, but also in the world. Home of the Leonardo da Vinci, Dante, Michelangelo, Machiavelli, Galilei and the Medici. The Cradle of the Renaissance. Now – the place of pilgrimage of millions of tourists. 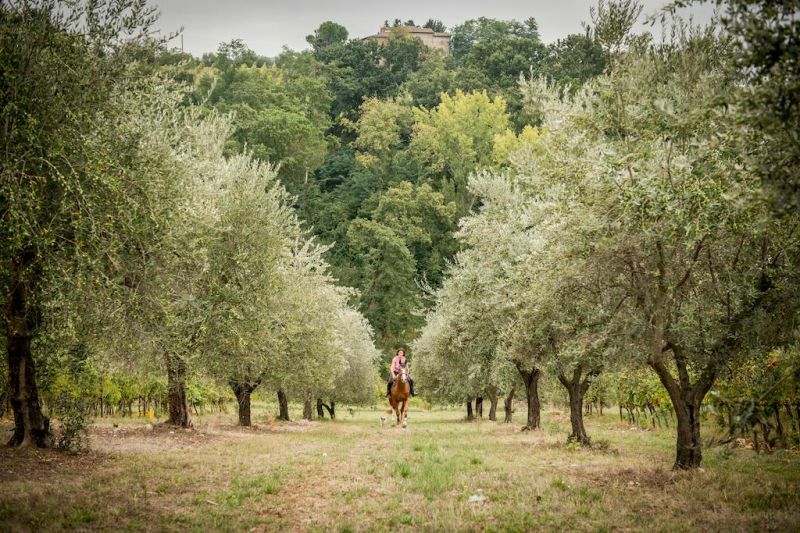 The capital of wine and horse racing, located in the Chianti valley. The administrative center of the province. One of the best cities of Italy preserved since the ancient times. Galileo Galilei was born here. 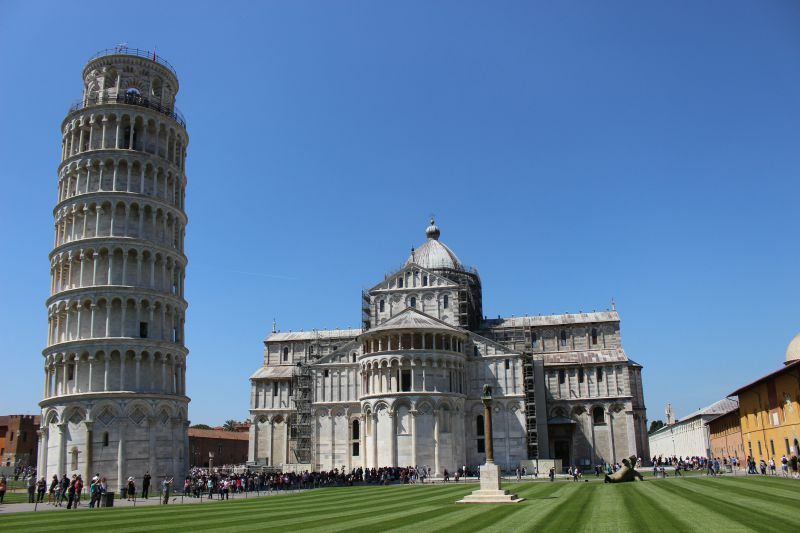 Pisa is famous not only with its Leaning Tower, but also with the entire cathedral complex on the Square of Miracles. Art lovers will also appreciate the works of the masters of the Pisa school of painting. In the past it was one of the Etruscan city-states. Now one of the most beautiful cities of Tuscany. The birthplace of Francesco Petrarca. 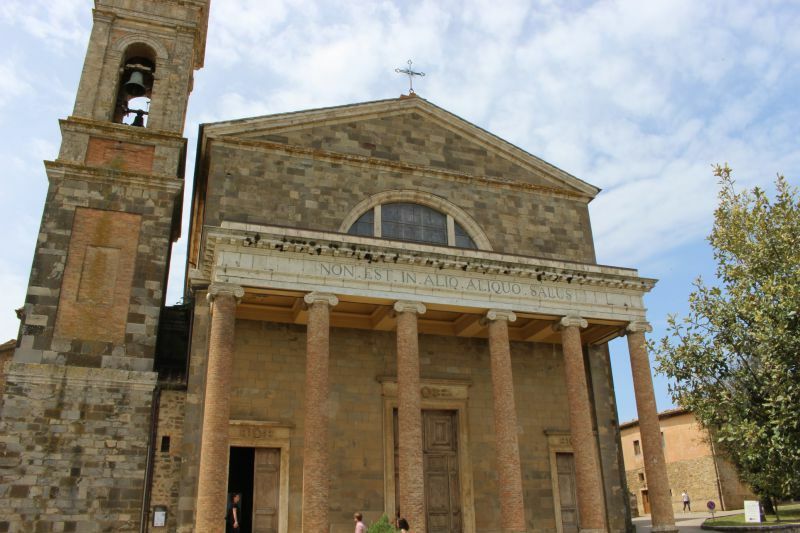 Church of Santa Maria della Pieve and many more beautiful churches. Archaeological museum and the ruins of the Roman amphitheater. The city-organism is a UNESCO World Heritage Site. The birthplace of Pope Pius II, who made a great deal of effort to make an ideal Renaissance city from the native village of Corsignano. For four years the work was boiling, but then the Pope died, and, as always, they did not manage to live up to the ideal. 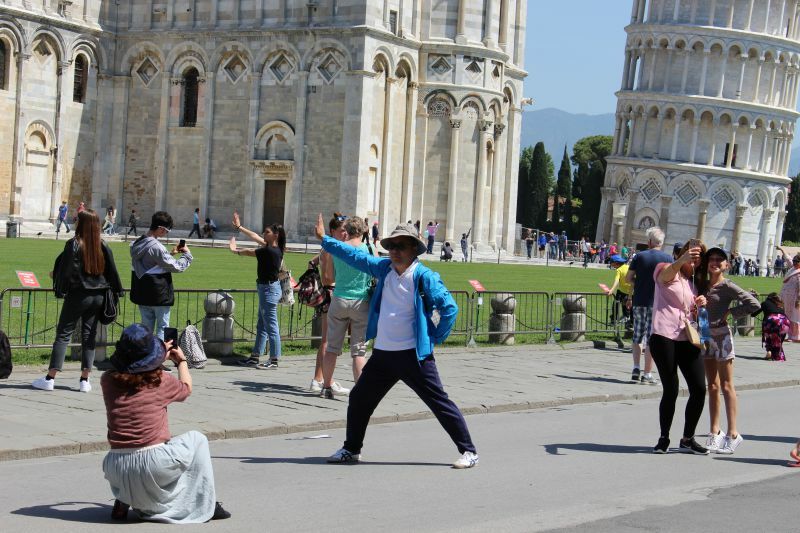 But the things that have been done still attract the attention of tourists. 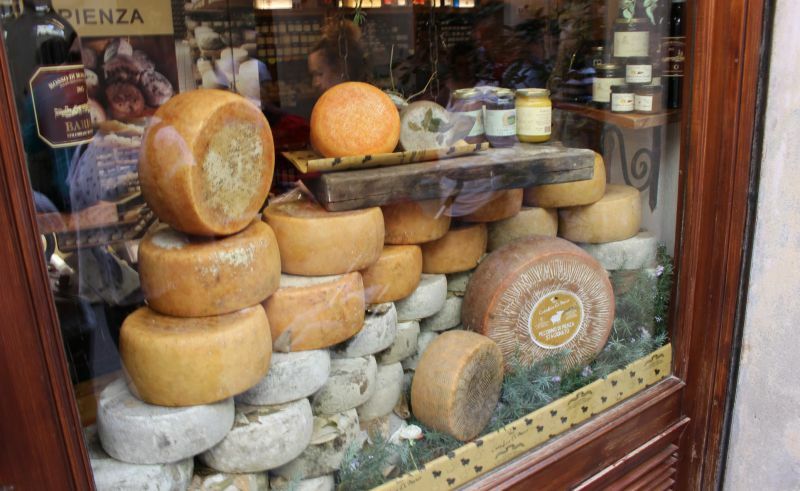 It is also known for a large number of cheese shops with a delicious local product. 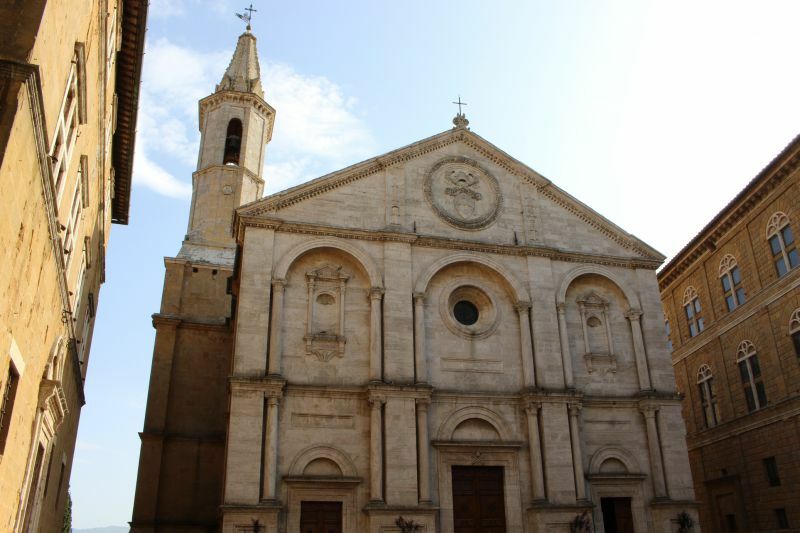 Pienza cathedral, surrounded by three palaces. 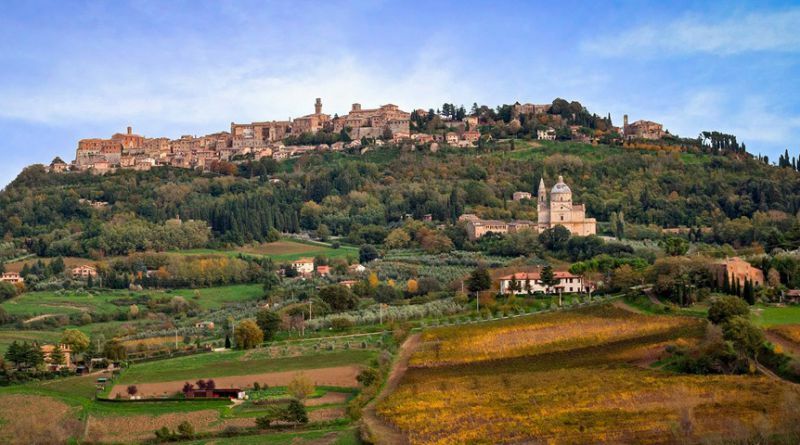 A small village, the birthplace of one of the most famous and expensive Italian wines – Brunello di Montalcino, leading its genus since the 15th century. 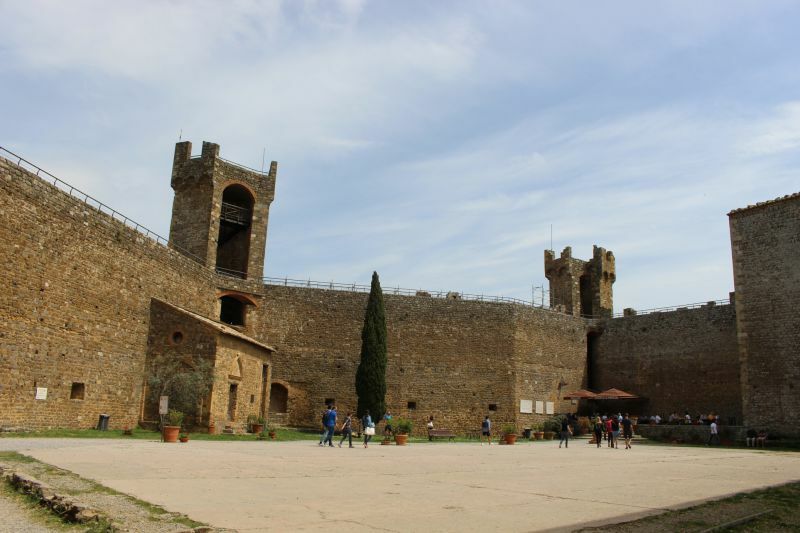 But besides the gifts of Bacchus, Montalcino also has other gems. 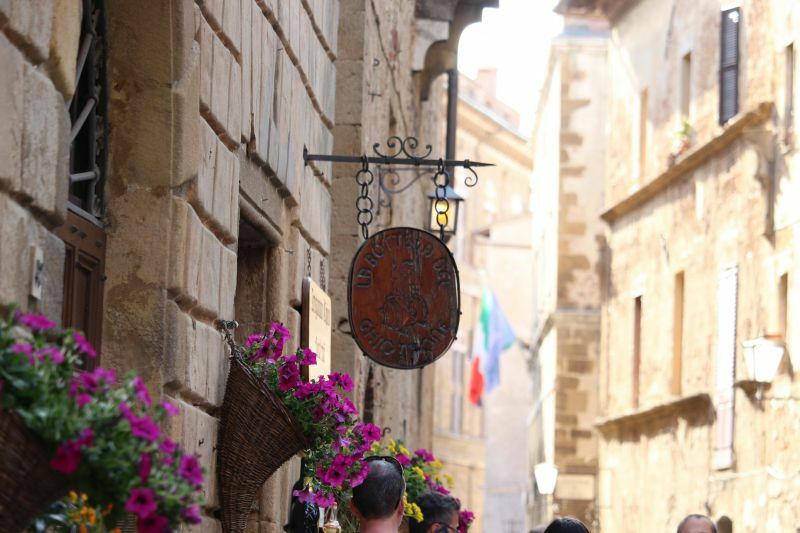 Another wine heaven of the region – Nobile di di Montepulciano is made here. It is highly respected by connoisseurs of Italian wine. You will, of course, not be left out without old buildings. Church of the Madonna di San Biagio. Now let us take a closer look at some of the region's attractions. Since there are hundreds of them here, we write only about the most famous of them. The symbol of the capital of Tuscany. 90-meter temple, visible from almost any place in Florence. It was built from the 13th to 19th centuries, today it accommodates up to 30 thousand believers. Admission: entrance to the cathedral – free of charge. Entrance to separate parts of the cathedral (museum, excavations, baptistery, bell tower) for 8 €. The complex ticket, which allows you to get everywhere is 18 €. According to many people it is the most famous gallery in Italy. 13 square meters filled with masterpieces of the 13–18 centuries. Michelangelo, Leonardo, Raphael, Rubens, Rembrandt. The earthly paradise for connoisseurs of fine arts. Admission: in the warm season the ticket is 20 €, with a discount – 10 €, from November to February – 12 €, with a discount – 6 €. Experts recommend buying tickets online (the cost of booking is 4 €), because you do not need to stand in line. This gallery, created as a place of inspiration for teachers and students of the Academy, eventually became a repository of truly priceless art objects. 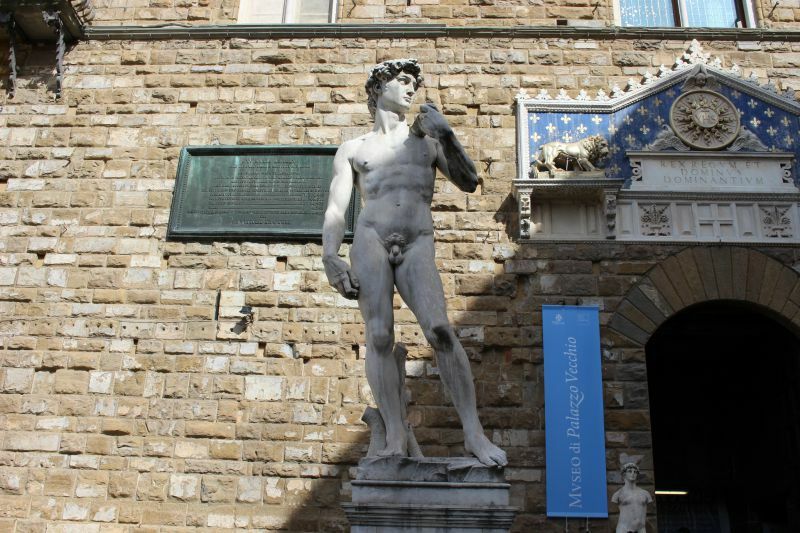 For example, the original of the inimitable Michelangelo’s David is kept here. 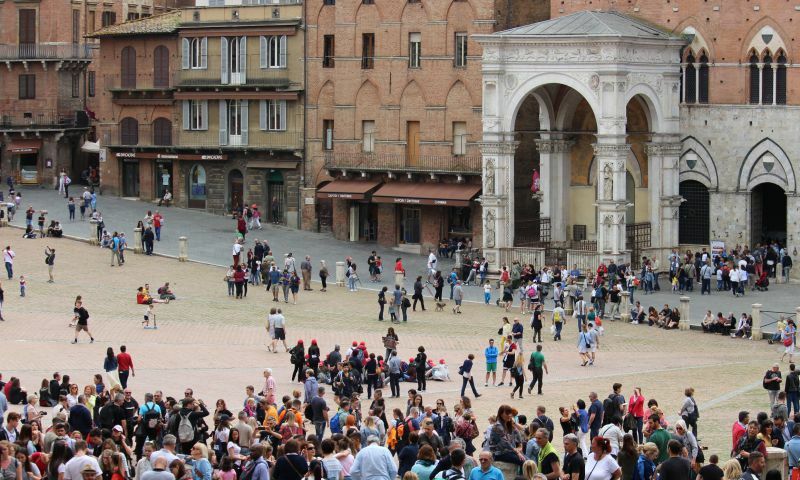 Admission: 8 €, with a discount – 4 €, reservation system is the same as in the Uffizi. 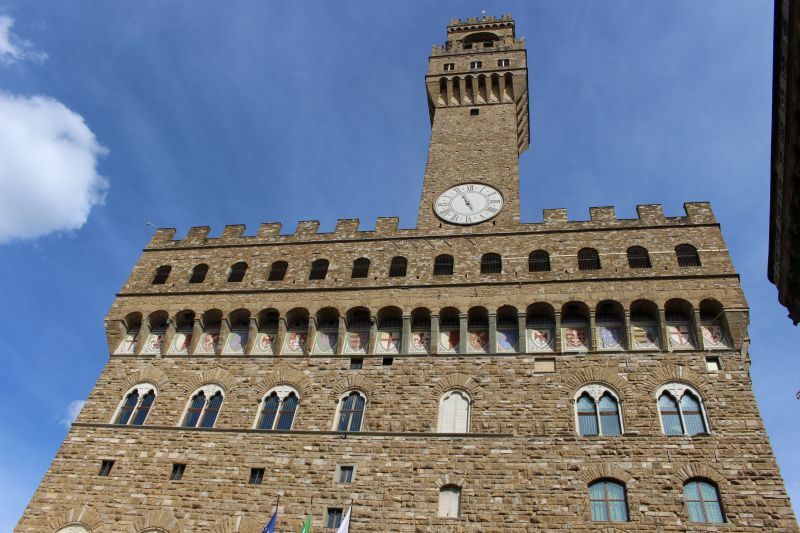 An ancient palace of the 13th century, located on Piazza della Signoria. 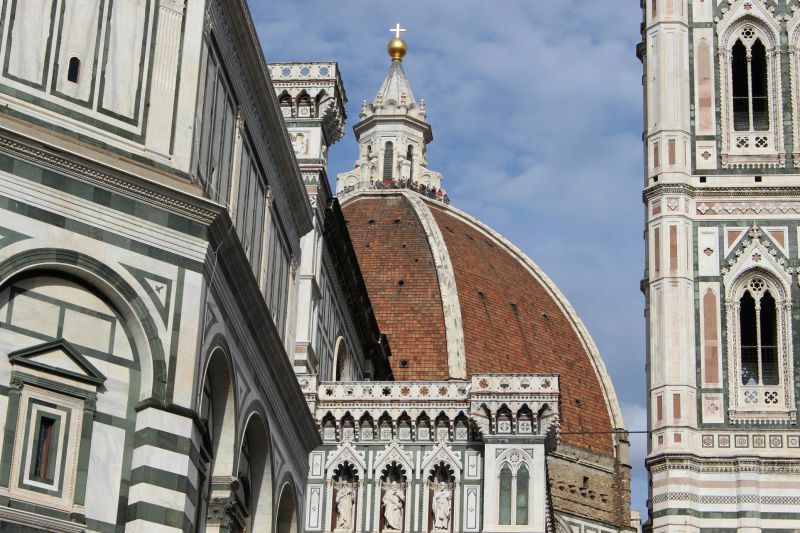 It is one of the symbols of Florence. The Palazzo is built in the form of a Roman fort, crowned with a slender clock tower. Now the halls of the palace are filled with unique paintings, frescoes, maps, sculptures, stucco molding and other museum exhibits. Admission: 10 euros (with a discount – 8 €), the palace plus the tower – 14 € (with a discount – 12 €). It was first mentioned in the 12th century. 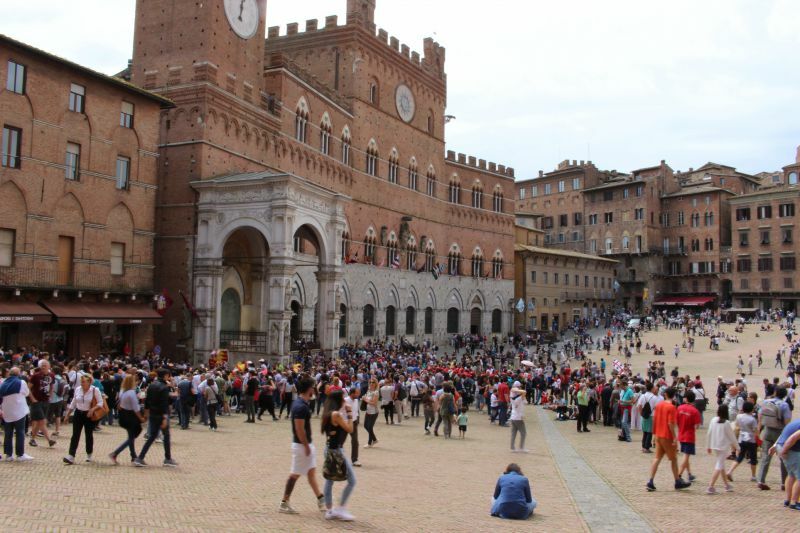 Soon the square became the heart of Siena and remains to this day. 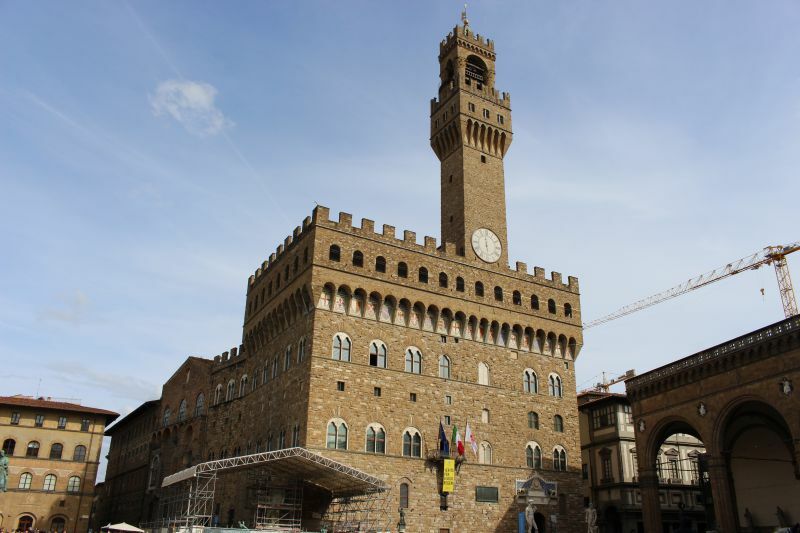 The city hall is here – the Palazzo Pubblico. Fountain of Joy with a pool, decorated with bas-reliefs. 102-meter Torre del Mangia – a unique Gothic tower, celebrating the 500-year anniversary. 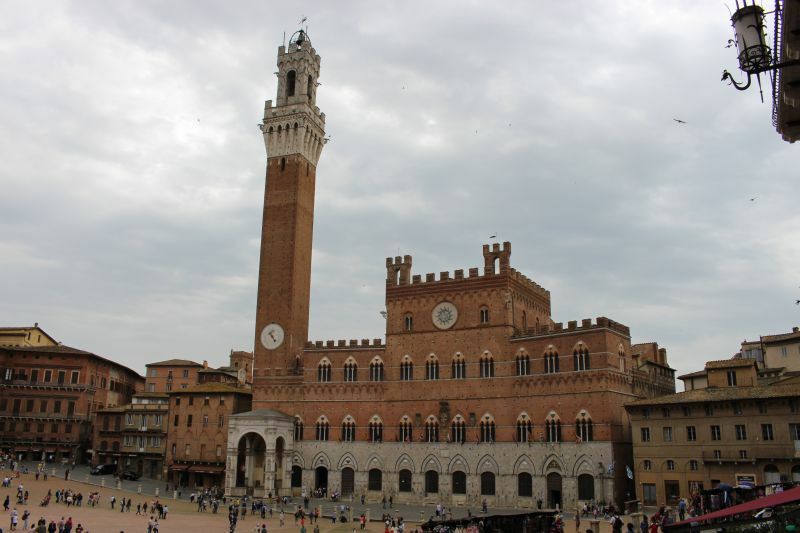 Palaces of the aristocratic families of Siena. Admission: museum in the palace – 9 €, entrance to the tower – 10 €. Gothic cathedral in honor of the Assumption of the Blessed Virgin Mary, built in the 13th century. Famous for chic decoration, paintings and mosaics. Now it is both a temple and a museum complex. 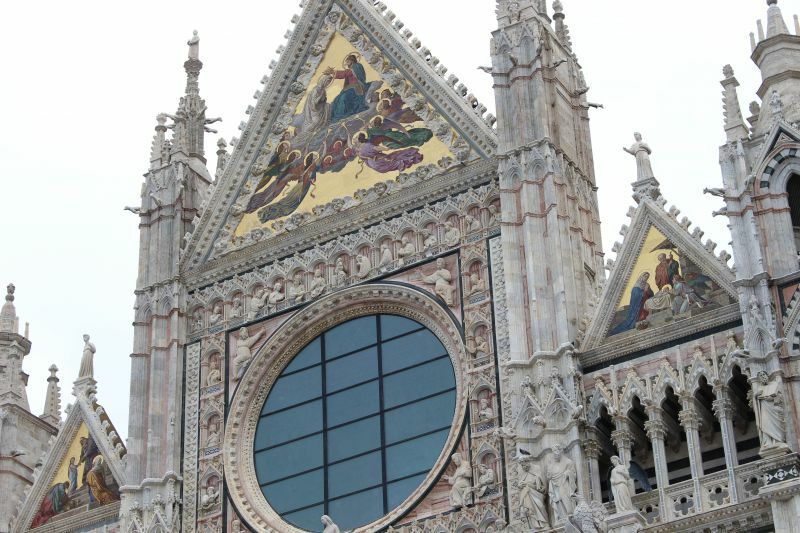 Admission: entrance to the cathedral – 5–8 € depending on the season. The complex ticket – 20 €, children from 7 to 11 – 5 €, children under 6 – for free. The heart of the city included in the UNESCO World Heritage List. 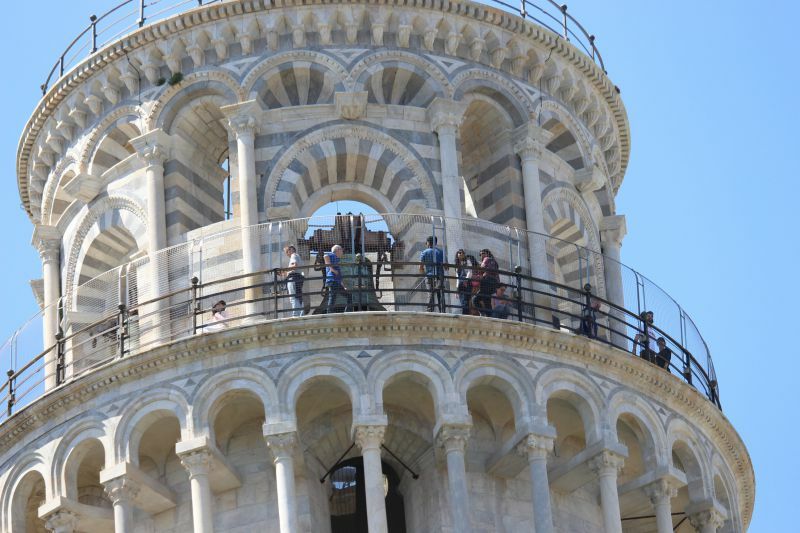 On Piazza dei Miracoli you will find the delightful Cathedral, the famous Leaning Tower, which is the bell tower of the cathedral, the Baptistery, the monumental Campo Santo cemetery. And the Sinopie Museum and the Opera Museum. Admission: entrance to the Cathedral is free. 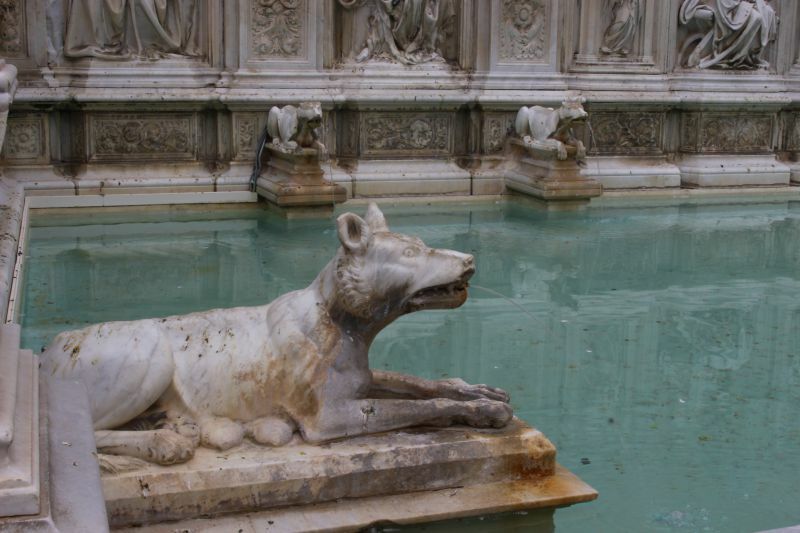 Visit to the baptistery, cemetery, one of the museums for 5 €, all together for 9 €. Ascent to the tower is 18 €. For children under 11 – free of charge (except for the tower). One of the most interesting squares in all of Italy. It has a slope and is surrounded by beautiful buildings. Among them there are the Vasari Loggia, a number of delightful palazzos decorated with ancient coats of arms, the elegant church of Santa Maria della Pieve. 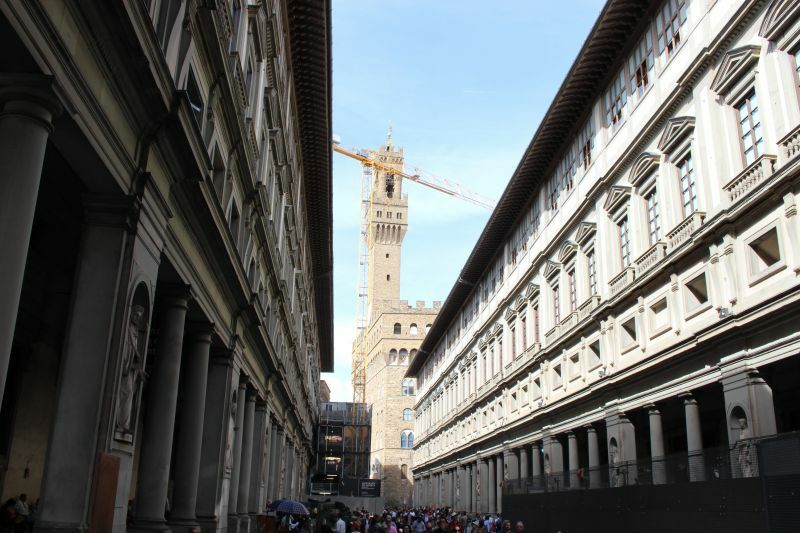 Admission: Vasari Loggia – 4 €. The cathedral was built in the 15th century and is dedicated to the Virgin Mary. It is located on the main square of the "ideal" city. 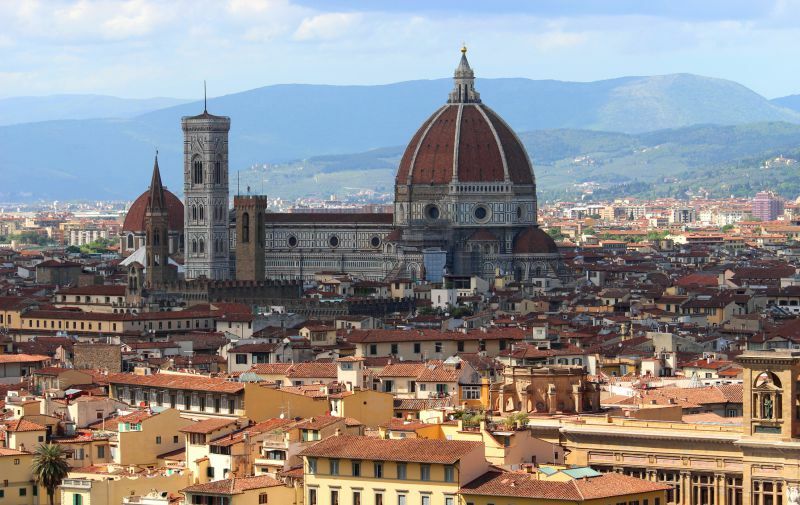 It is considered one of the most beautiful monuments of the Italian Renaissance. 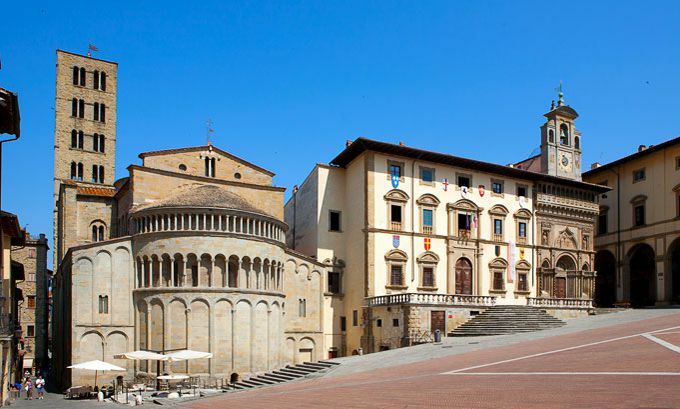 On the square you can also admire three palazzos: Borgia, the city and Piccolomini. The entrance to the Cathedral is free. Piccolomini Palazzo – 7 €. Museum of Sacred Art in the Palazzo Borgia – 4,5 €. 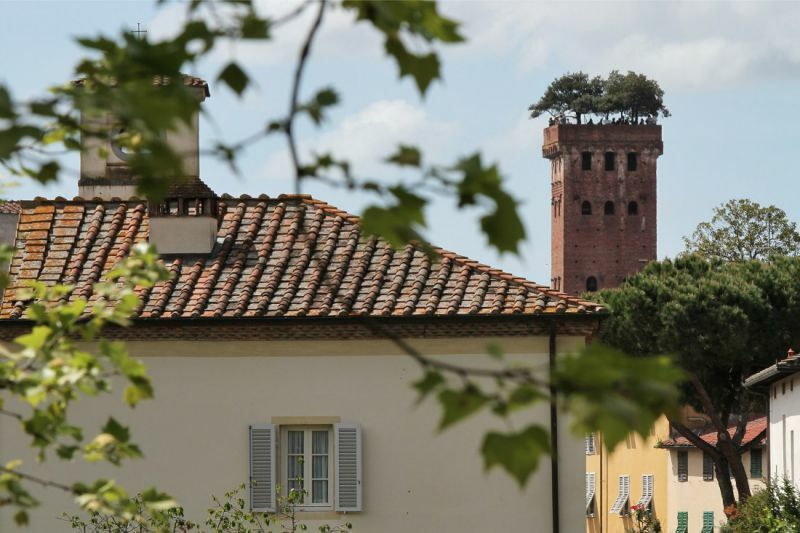 Guinigi Tower is perhaps the most famous landmark of Lucca – one of the most remarkable Tuscan cities. There are not a lot of medieval towers in this old place, but Torre Guinigi attracts the attention of anyone visiting Lucca. It is famous for its height of 44 meters. According to the rumors, it is the largest among the old city towers. And, of course, with a garden that grows right on the roof. The beautiful tower was created in the 14th century with the money of the richest local family of Guinigi, who built it for the needs of numerous children and households. According to the legend, the garden on the roof grew due to the whim of the wife of one of the Guinigi brothers – Paolo (the legend did not preserve the name of the wife). Lady terribly wanted to work in the kitchen, under the canopy of trees, but because of the lack of space inside the city walls, it was impossible to create the normal garden even for local oligarchs. So they had to deal with it, planting trees at a bird's-eye view. Moreover, the quick-witted signora summed up the ideological base under her whim. The hanging garden consisted of seven oaks in memory of the lost Guinigi brothers. The trees symbolized the renewal and eternal youth. Of course, after such a justification, the woman's whim turned into a noble family business. And also into one of the best attractions of Lucca. Nowadays there is an observation deck, which offers a great view of the medieval city. But the trees have to be regularly replaced. Apparently, it is uncomfortable for oaks to live at such a height. 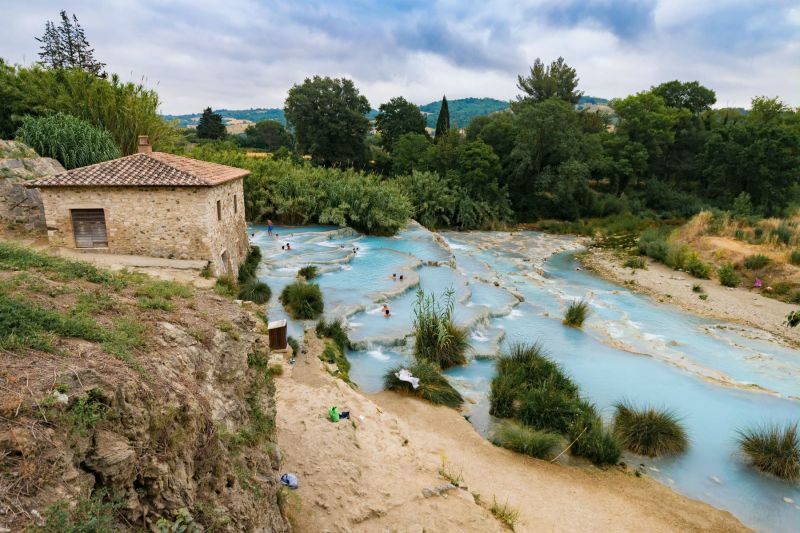 The thermal springs of Saturnia in the commune of Manciano have been another highlight of Tuscany for hundreds of years. According to legend, they appeared after Jupiter hit the ground with the spear. He came to this area with his father Saturn. Hot springs of volcanic origin with a water temperature of 37.5° and healing properties are waiting for you here. This qenuine aqua vita helps with problems with blood pressure, problems with the heart, blood vessels, ailments of the liver, stomach, diabetes. The flow capacity of sulfuric water in the thermal bath of Saturnia is 800 liters per second. What is important, the local hot springs are ready to take you into their medical arms all year round. There are many sources of these magic waters in the area, but the most famous is Cascate del Mulino waterfall, which carries its streams near the old mill. The bathing in this water is absolutely free which adds to the general charm of it. The main thing is to find a place among the hundreds who want to dip their bodies into the water. It is also worth paying attention to another beautiful waterfall Cascate del Gorello. You will also see charming Tuscan nature, pure air, not spoiled by urban industry and the flow of cars. As well as antiquities. In Italy, and, of course, in Tuscany, they are at every turn. In the vicinity of the thermal bath there are expensive SPA hotels with their privatized sources, and hotels with relatively resonable prices. 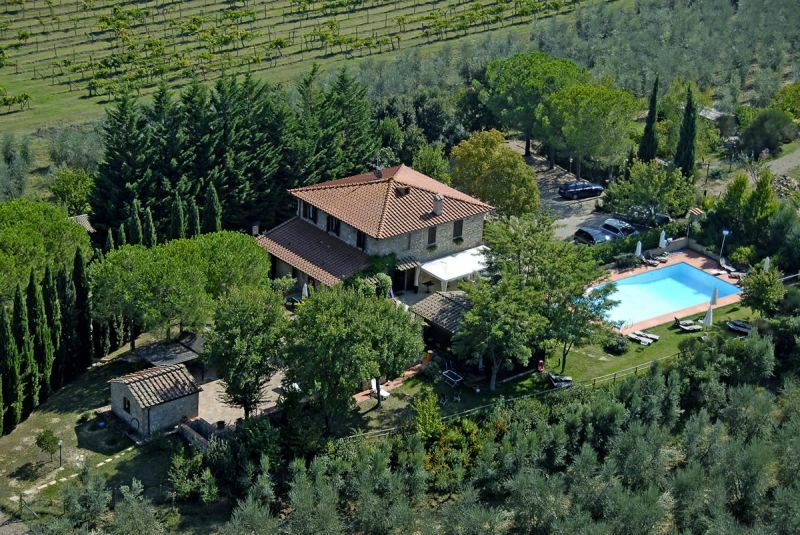 Plus, do not forget about the option of private estates agritourism, which is very popular in Tuscany. Tuscan cuisine is considered to be gourmet and very interesting, and at the same time one of the simplest in the whole world. Pecorino. Fettunta. Bruschetta. Cacciucco. Trippa. Ribollita. Chianti. Crostini. Lardo di colonnata. 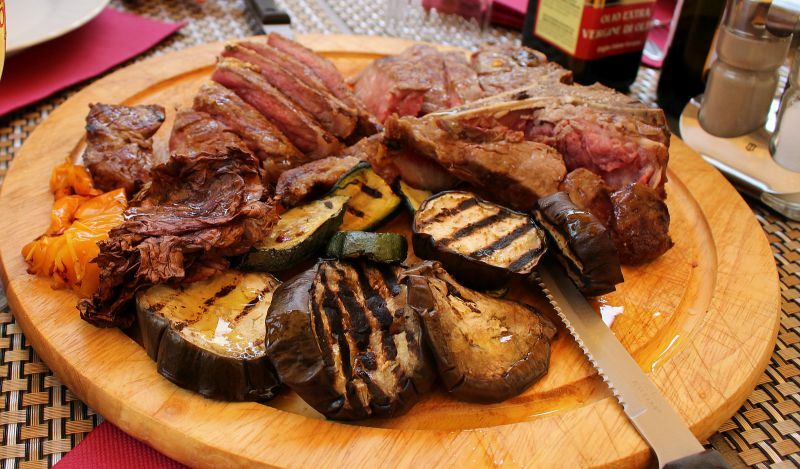 Bistecca alla fiorentina. 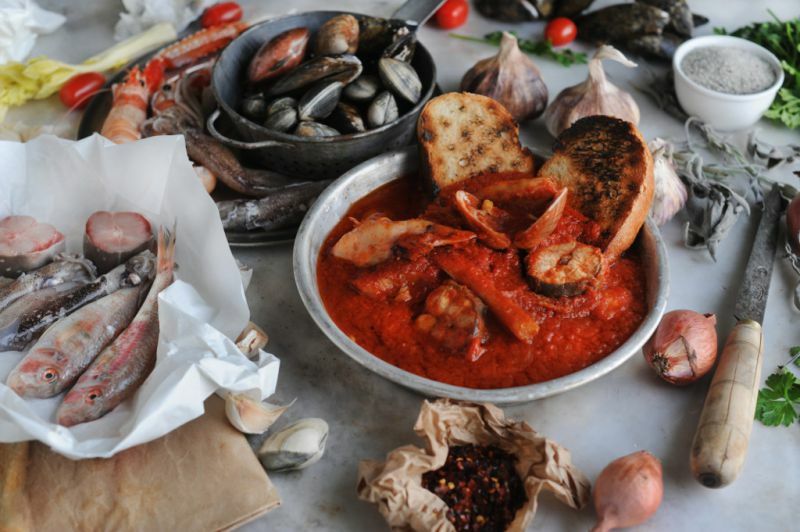 Let's look closer at the Tuscany cuisine. It is prepared only from the meat of Tuscan white cows of the Chianina breed. Its weight is from 450 grams to 1.5 kg. It is cooked only "raw". No other spices except salt are used, and only after cooking. With a great reluctance a pinch of black pepper is allowed. It is one of the most ancient dishes of the region. Served both warm and cold. 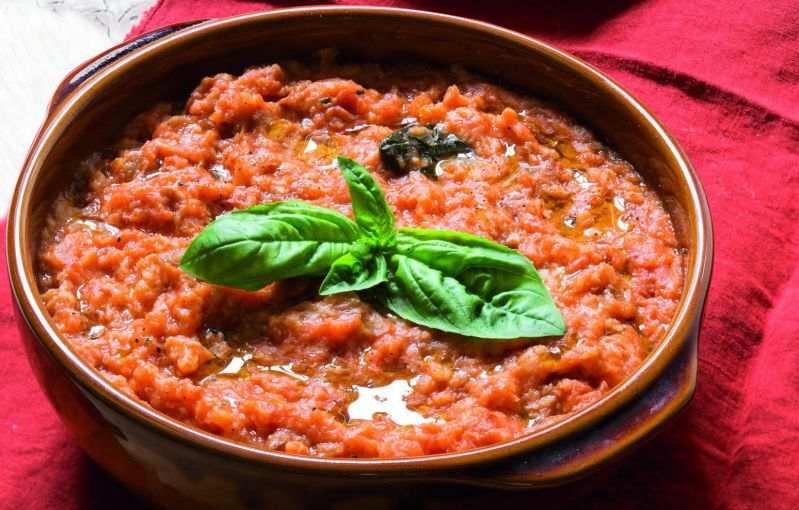 By consistency, this is not quite a soup, as you can tell from the name (pappa al pomodoro – "porridge from tomatoes"). Every corner of Tuscany has recipes with peculiar nuances. 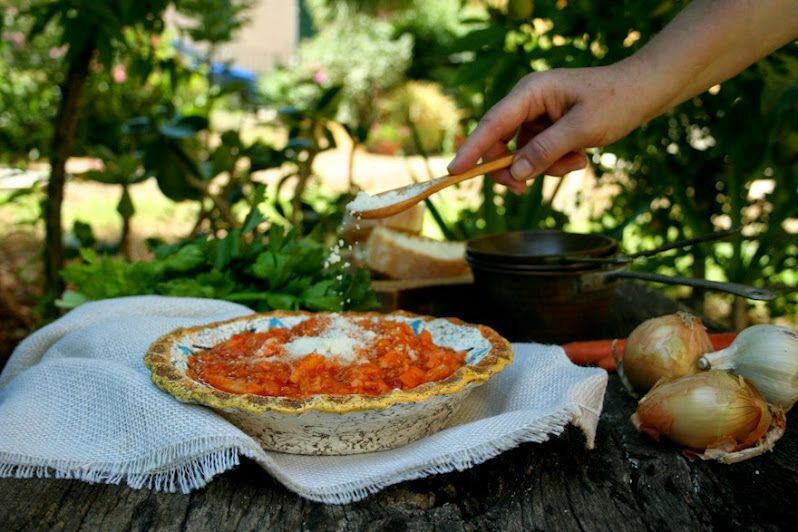 The main ingredients – bread, spices, wine and, what is obvious – tomatoes. It includes at least five varieties of fish, in the classical version there are altogether 13 (!) species of marine life. It was created by poor fishermen on the principle of "Irish stew" – everything that was at hand is put in the cauldron. 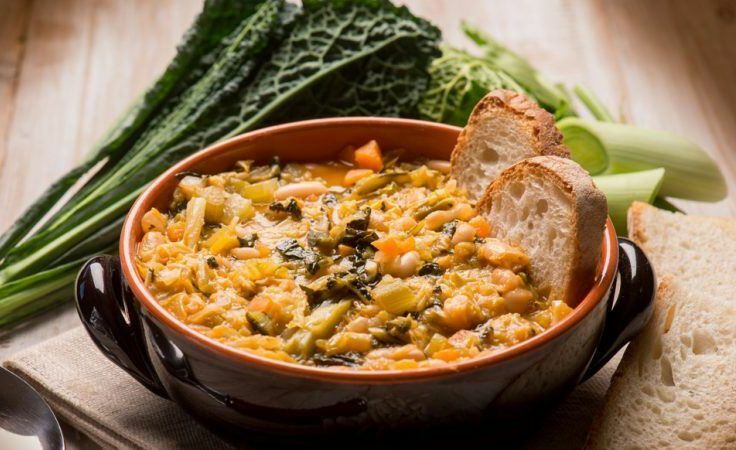 Ribollita – in translation means cooked twice. It is similar by the principle with Cacciucco, only in vegetable version. You can throw in the pan every vegetable that you have in the house. It will be very convenient to use everything that is left from yesterday's dinner. Stale bread, beans and olive oil (how can we do without it!) are essential ingredients. Meat delicacy, prepared from certain parts of the cow's stomach (abomasum). 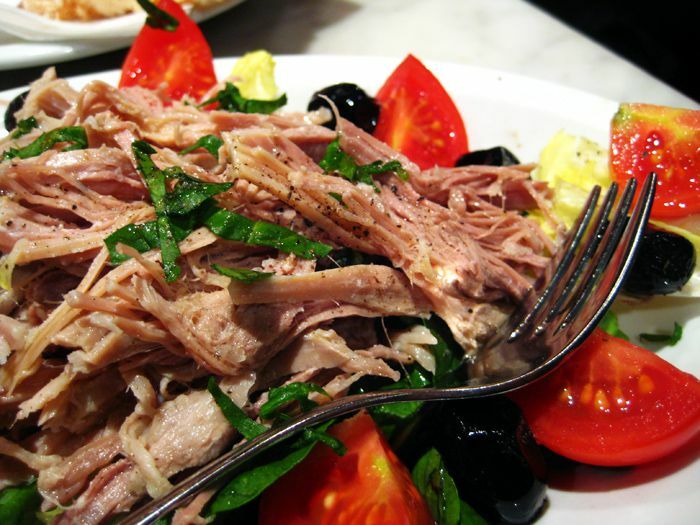 Meat is braised for a long time with vegetables, wine and olive oil. Sometimes before serving it is sprinkled with grated cheese. A dish is prepared from the meat of young piglets. It is brewed or baked with spices, wine and olive oil, and then it is laid out on cans, and oil is poured on it. It is stored for minimum of 5–7 days. They say that after such operations, it really resembles the taste of tuna fish. The world-famous dry red Tuscan wine from the grape variety “Sangioves” with a small addition of grapes of other varieties. It is considered one of the most famous Italian wines in the world (and some say – that it is the most famous). 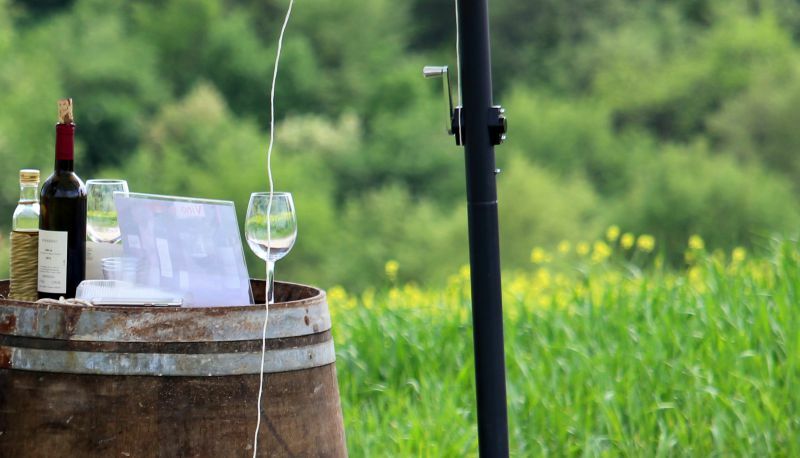 The legendary history of this wine goes back to the Etruscans. The first mention of the drink dates back to the 13th century. No stimulation of vines is allowed except for irrigation. The wine is prepared by slow secondary fermentation. In the past, almost all the Chianti was bottled into traditional pot-bellied fiasco braided bottles. But now most of the wine is sold in ordinary bottles. One of the types of Chianti – Classico – has the category DOCG (name with controlled and guaranteed origin) – a sign that denotes the most valuable wines. Nowadays, Chianti is produced in hundreds of thousands of liters, and is sold at a price from seven to several thousand of euros. In Tuscany, Chianti is produced in the provinces of Siena, Florence, Prato, Arezzo, Pistoia, Pisa. The Chianti Classico region is considered to be the best of the best, which is partly in Siena, partly in Florence. So when you're in those parts, be sure to taste this drink of the gods. Cypress roads are more (or equally) famous highlight of region, along with the Chianti. These trees appeared in Tuscany thousands of years ago. According to historians, cypresses were brought from Persia in the time of the Etruscans, in 400 BC. 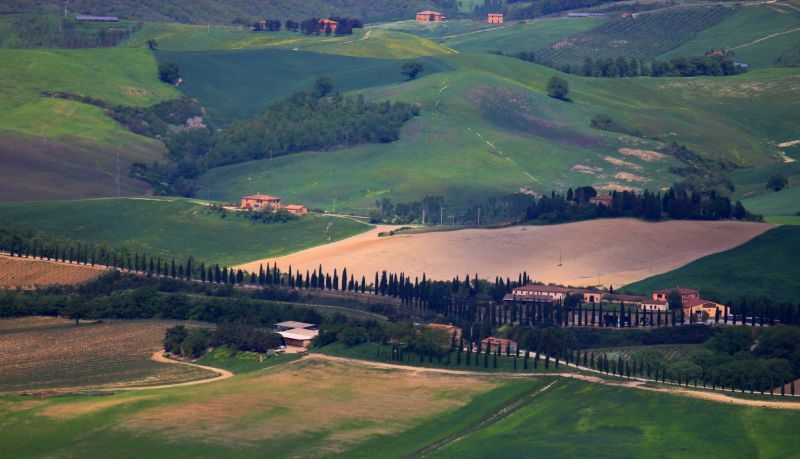 It turned out that cypresses and Tuscany seemed to be created for each other. Tuscans gave the trees supernatural features (for example, it was believed that their essential oils help in the fight against evil spirits). And from a material, practical point of view, the cypresses are good for protection from the wind. In addition, they are also beautiful. Cypresses do not grow all over Tuscany. The valley of Val d'Orcia is a classic place to see these beauties. 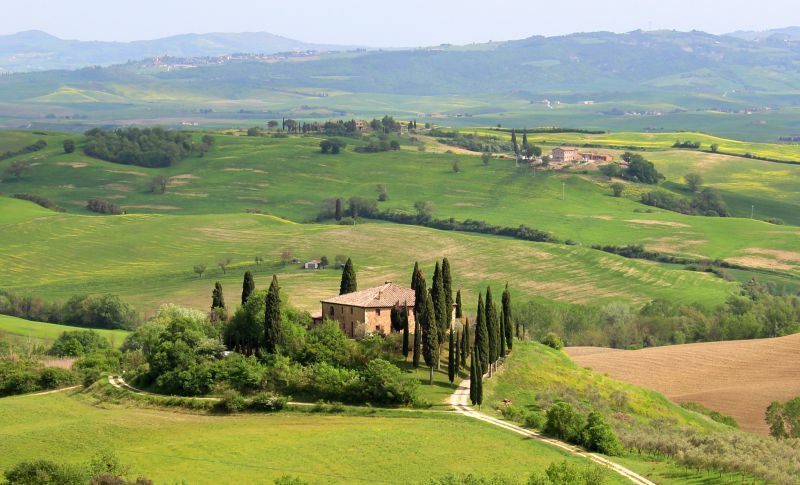 Also, the area between Pienza and San Quirico d'Orcia. 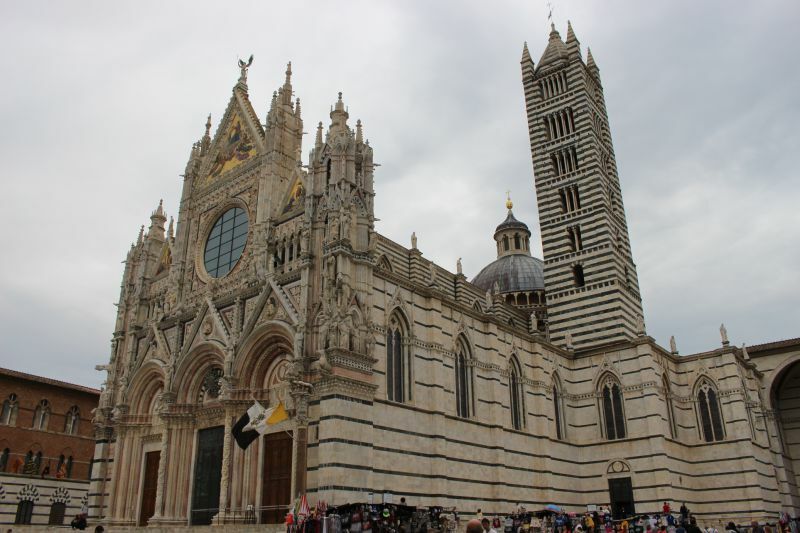 You can go from Siena along SP 137 to San Quirico. Or from Pienza by Sp146. Also, if you have time, it is recommended to check out the side agricultural roads (though not all of them are open to tourists, private property, you know). You can find very interesting camera angles here. 43.025002,11.769479 – a path with cypresses, leads from Montepulciano along SP147, then 88 and 40. 43.063973,11.558752 – little island of cypress trees, leads from San Quirico d'Orcia along SR2 to Torrenieri. 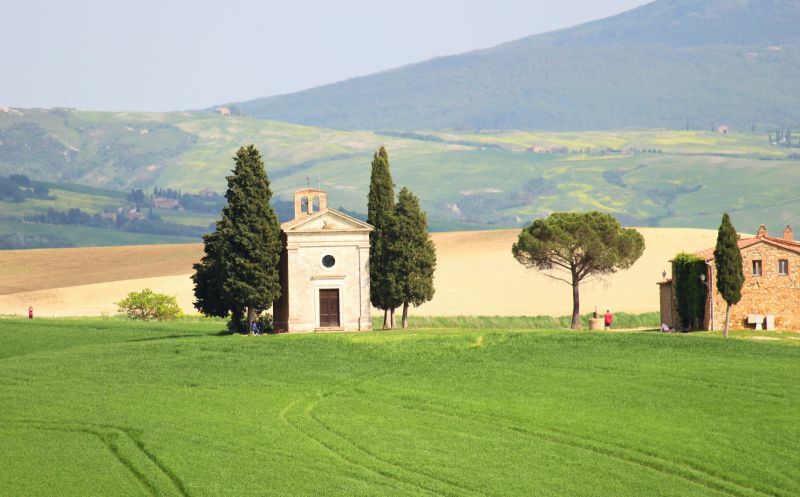 43.070853,11.634594 – the famous Vitaletta Chapel, drive along SP146 from San Quirico d'Orcia to Pienza. 43.070581,11.641989 – the Vitaletta Chapel – view from a dirt road. Here you will have to walk, the passage is closed. 43.061959,11.722691 – "Drunken road" with cypresses, drive along SP88 from Monticchiello towards Pienza. 43.028118,11.774855 – another version of the winding road with cypresses, go on SP88 from Monticchiello towards Castelluccio, then on SP40. We wish you a successful photo-hunting! And do not forget the telephoto lens. Ecotourism is a vacation in the countryside, in the bosom of nature, surrounded by greenery, domestic animals and vegetables from the garden. In recent years it is becoming increasingly popular. Tuscany with its hills, cypresses and charming scenery is considered one of the leaders of green tourism, not only in Italy, but all over Europe. It is not surprising. "In one bottle" you will get almost all the charm of rural tourism. 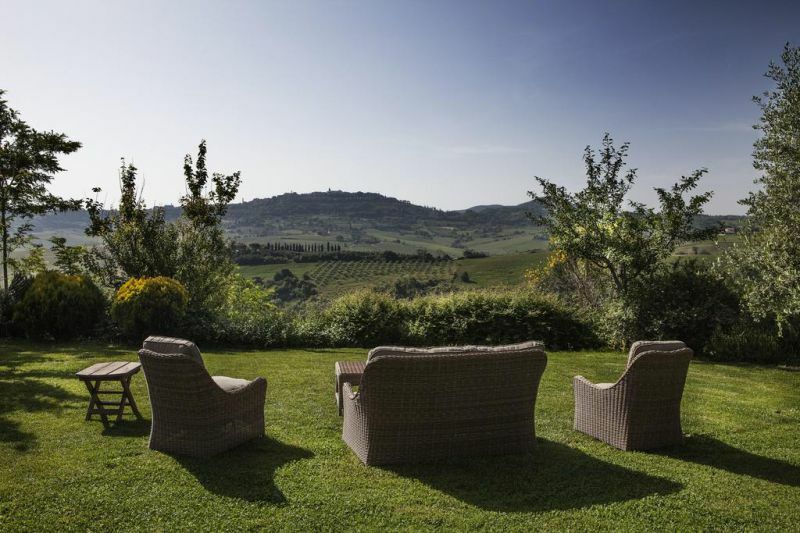 Settled in a manor house with a vineyard, you will be at arm's length from the famous Chianti wines. Choosing a variant of an animal farm, you will see rare domestic animals, for example, Chianina cows – one of the oldest breeds in the world. But there is also cheese! On the vegetable agro-farm you will be able to fully enjoy the Tuscan cuisine prepared from products grown before your eyes. And if you manage to combine! 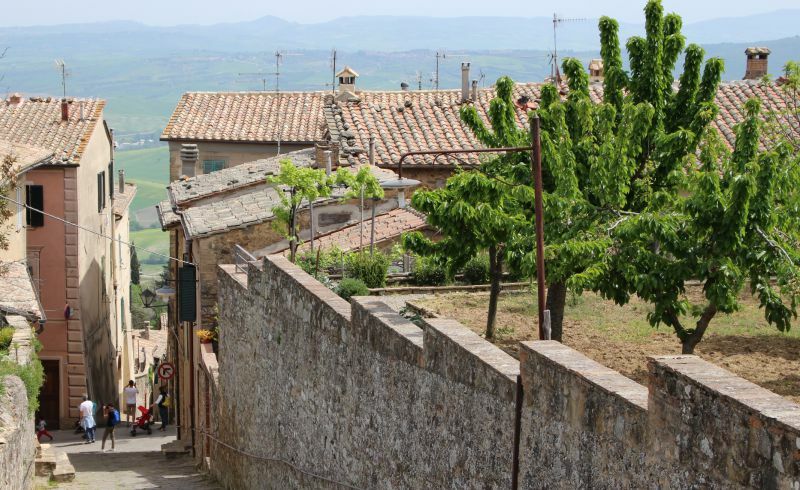 Renting a bicycle, you have a chance to come close to the charming Tuscan nature. Plus, there is usually a swimming pool attached to the farm, and sometimes a restaurant. In total, the region expects more than 4 thousand guests for agrotourismo (almost a quarter of the total Italian number). This pleasure will cost you mainly from 50 to 300 € per day. Mostly, you will have to get here on a car, because the farms in the countryside are situated at a distance from the roads with public transport. A variant with a bicycle is possible, but this is only for sporty tourists without luggage. 6 km to Montepulciano. Seven rooms with private terraces and access to the garden. Open pool. A restaurant. Culinary lessons, cheese tasting. Price: 250–300 €. Book villa Lupaia. House of the 13th century. The owners have been in the winemaking for 30 years. Tasting, excursions to the winery. A restaurant. Jacuzzi in the garden. 1.5 km to Montepulciano. Price: 150–200 €. Book Salcheto WineHouse. 7 independent apartments. 40 km to Siena. Seasonal outdoor pool. Excellent places for hiking and cycling. Pets. Price: 70–130 €. Book Agriturismo Palazzo Conti – B. It is located on a 300-meter hill. 9 rooms. Solarium, garden, swimming pool, shop, where they sell their own Chianti and Vernaccia di San Gimignano wines, grappa, honey and saffron. Price: 100 €. Book Casanova di Pescille. 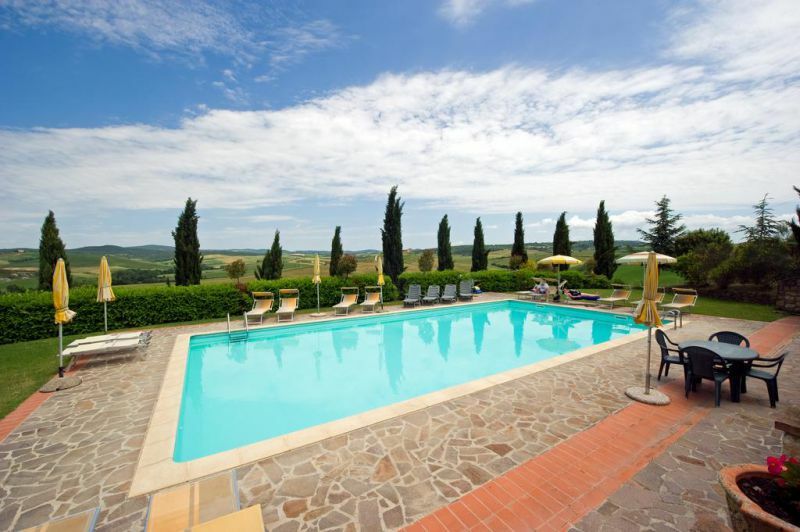 Located on the hills of Chianti in the village of Salvadonica. Buffet, garden, swimming pool, horseback riding, motor scooters. Florence is 20 km away. Price: 200–270 €. Book villa Salvadonica. 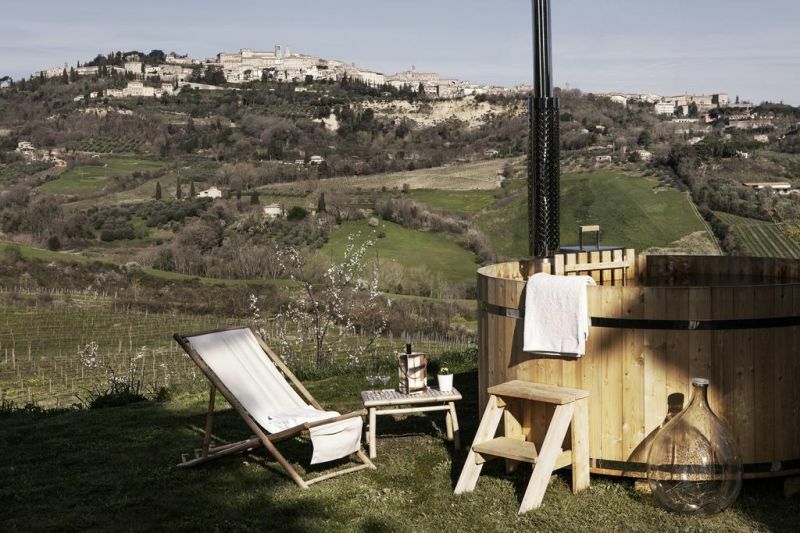 You can relax in Tuscany in any way. In noisy cities, full of tourists. In a quiet agrotourismo, drinking wine and eating a pecorino. Traveling by car, on foot or a bicycle. 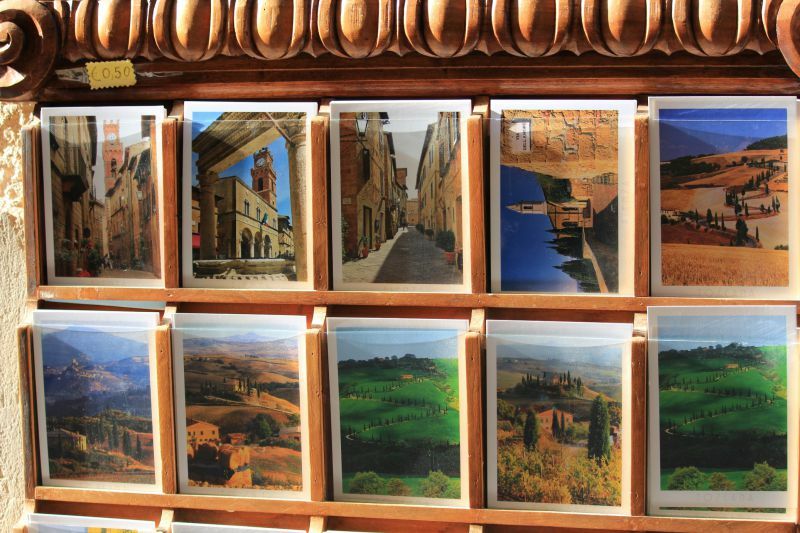 It is not important how you will get to know Tuscany. The main thing is to get to this charming piece of our beautiful Earth.